A reliable source for Liquid Chillers information and a resource for accessing leading Liquid Chillers and suppliers. Liquid chillers are machines designed to cool air and/or liquids. In order to do so, they utilize a refrigeration cycle that lets them remove heat from various liquids and release it into the atmosphere. In a chilling system, their use precedes directing the chilled liquid/coolant to a heat exchanger, process equipment, or another liquid. Industrial liquid chillers are used to cool machinery, mechanisms, and products used in a variety of processes. Examples of such processes include metalworking, die casting, plastic injection molding, welding, chemical processing and industrial refrigeration. Liquid chillers are also used to provide air conditioning and gas cooling on a large scale and provide temperature control for medicines and lab chemicals. Liquid chillers are essential to industries including medicine and medical supply, food and beverage, plastics manufacturing, HVAC, and power generation. Liquid Chillers In order to do so, they utilize a refrigeration cycle that lets them remove heat from various liquids and release it into the atmosphere. In a chilling system, their use precedes directing the chilled liquid/coolant to a heat exchanger, process equipment, or another liquid. 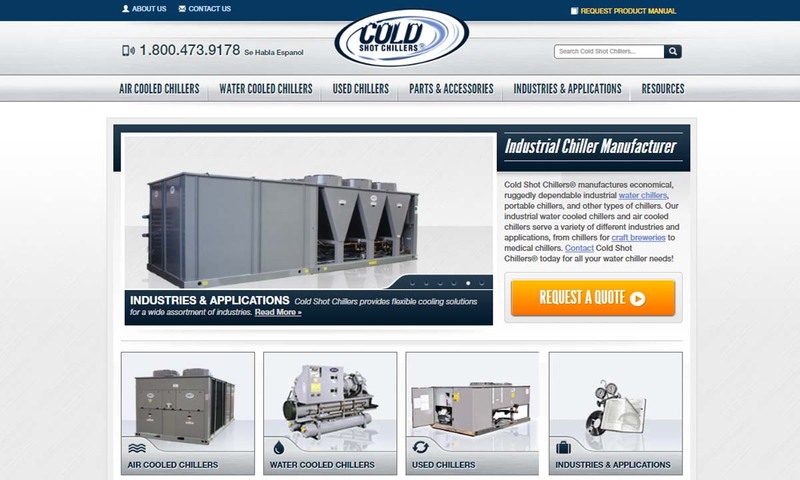 Cold Shot Chillers is a designer & industrial chiller manufacturer. 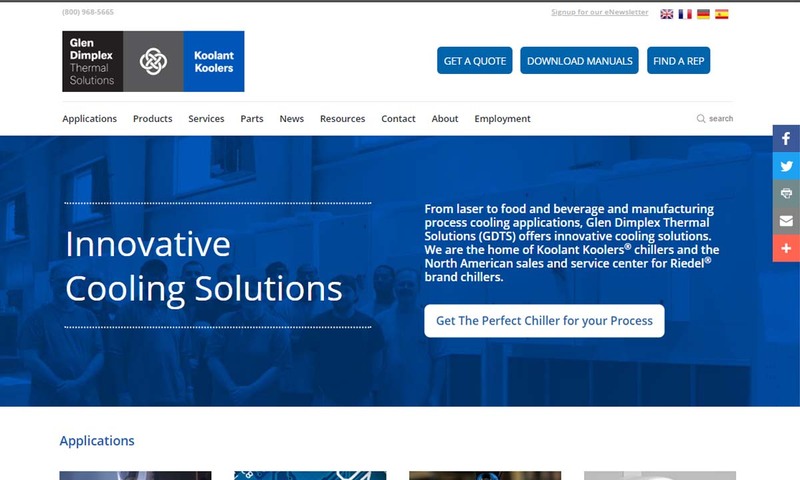 Our products include liquid chillers, portable chillers, used chillers, stationary chillers, air-cooled chillers, cooling systems, industrial chillers, & water chillers. 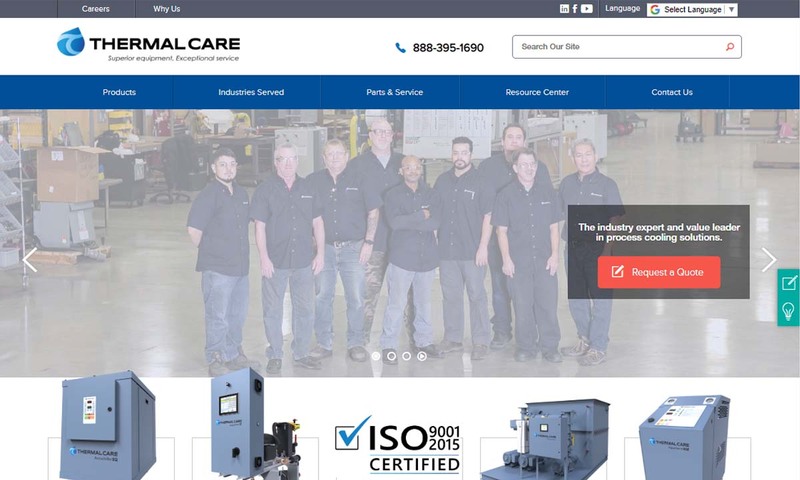 Since 1969, Thermal Care has been a leading manufacturer of portable and central chillers in air cooled, water cooled, and remote condenser models. 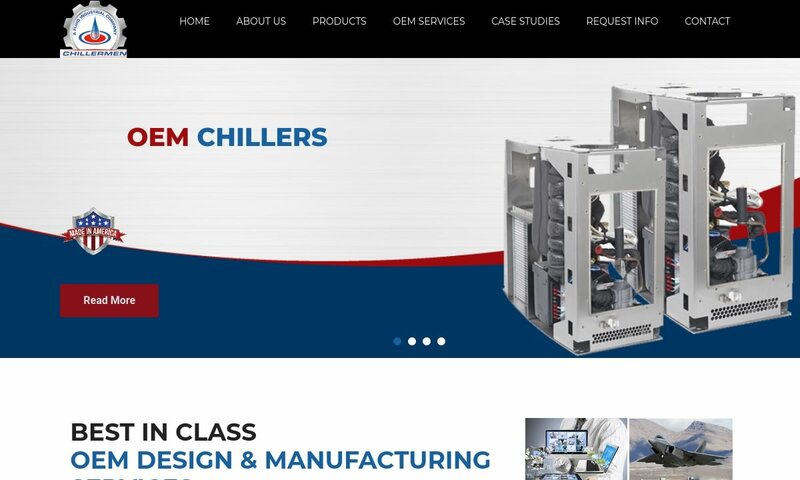 We have manufacturing experiences dating back to 1952 and over the years Glen Dimplex Thermal Solutions has grown in an international provider of high quality chillers. At Chillermen, we do what other chiller manufacturers refuse to do. We are a trusted world-class manufacturer in full OEM production of industrial chillers that exceed customer expectations. Legacy Chiller Systems USA can provide the chilling system you need, when you need it. We offer many chiller solutions including water chillers, air cooled chillers, packaged chillers and water conservation programs. 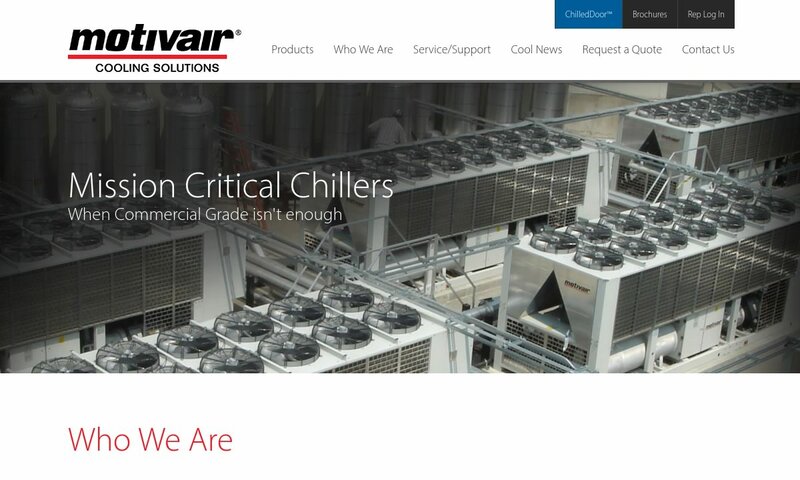 With a wide variety of chillers & closed loop cooling systems, Motivair has the most ideal cooling solution for each individual customer, including water chillers, heat recovery chillers, industrial process chillers, scroll chillers, medical chillers, pump stations & compressed air treatment products. Liquid chillers got their start in the 1800s, when scientists started testing the efficacy of liquid refrigerants in air and water cooling. Through their experimentation, scientists of this age learned that if they used liquids like water, they could cool the air. The first person to apply the principles of heat transfer to machinery was an American engineer named Willis Carrier. In 1902, he introduced to the world the first modern air conditioning system. His air conditioner controlled humidity by passing humid air through water, thereby pulling moisture and heat from it. In 1906, Carrier patented another air conditioning system. This one, known as a spray-type air conditioning unit, humidified and dehumidified air. Throughout the early 20th century, Carrier continued to make important discoveries and inventions related to liquid chilling. In 1915, along with several colleagues, he founded his own company, Carrier Engineering Corporation (later Carrier Corporation). In 1931, scientists discovered that chilling is much more efficient with the addition of Freon. Just seven years later, the Trane Company (now a part of Ingersoll Rand) began producing enclosed chiller systems that used refrigerant similarly to modern liquid chillers. The invention of these systems led to the invention of industrial liquid chillers that could quickly lower temperatures in enclosed spaces. While scientists and engineers were making significant advances in heat exchanger and chilling technology in the 1920s and 1930s, their market shrunk significantly during the Great Depression. It did not rebound with the public again until the early 1950s, when the American economy was experiencing a post-war boom. In 1950, plastics manufacturers began including industrial chillers in their production processes. They helped make the process faster and made it possible for manufacturers to use plastics for a wider range of products. From there, chillers established themselves in countless other industries as a valuable partner. Near the end of the 20th century, engineers even used chillers to help them establish the global electrical grid. Today, chillers continue to be as important as ever. Chillers come in a wide range of designs and sizes. For smaller applications, chillers may be manufactured as localized, small, or portable units. Alternatively, large chillers can be designed to keep entire facilities cool. When a manufacturer designs a liquid chiller, they make decisions on a variety of machine details, such as its cooling capacity, the type of refrigerant it uses, its power source, the evaporator flow rate, and the compressor horsepower. They also consider factors like how much space you have, how often you need to run your system/if you plan on using your system continuously, the temperature of the fluid to be cooled, what type of space or system you need to cool, and industry requirements. To make your liquid chiller model more perfect for your application, chiller manufacturers can add features like emergency alarms, pressure indicators, and remote-control panels. The cooling capacity of an industrial chiller model is measured in tons, or Btu/h. Coolers can be found in a multitude of capacities. For instance, a small portable chiller may have a capacity of a small fraction of a ton. On the other end, a cooler can consist of multiple units and have thousands of tons’ worth of capacity. The type of refrigerant will depend on the temperatures that the chiller will be exposed to. Popular refrigerants are methane, brine, alcohol, sulfur dioxide, carbon dioxide, ammonia, water, R410A, R134A, and R407C. Widely used refrigerants from past years include fluorocarbons and chlorofluorocarbons, or CFCs. CFCs have decreased in popularity over the years because of their capability to deplete the ozone. Chillers utilize vapor-compression or absorption processes to carry out their cooling functions. Both of these processes use a refrigerant that absorbs heat from a predetermined place. As that refrigerant condenses, it evaporates and releases the heat in a different place. They also both may make use of cooling towers or vents to help them expedite the cooling process. The majority of chillers work using a four-stage cycle: pressurization, condensation, depressurization, and evaporation. It occurs as described below. Pressurization is part of the vapor-compression chilling process. It is not part of the absorption chilling process. If a vapor-compressor chiller, the chiller kicks things off by pressurizing the refrigerant vapor inside a compressor. Different types of liquid chillers use different types of compressors. During this stage, which is typically the start of absorption chilling, the chiller machine transfers the refrigerant into a condenser. The condenser features a set of coiling tubes with air or water circulating around it. Within the condenser, the refrigerant vapor cools and converts into a liquid. This part of the process removes a significant amount of heat. The heat then is absorbed by the water or air circulating around the tubes. The newly refrigerated liquid moves to an expansion valve, where the liquid is depressurized. Expansion valves work by sensing both the actual and the target temperatures and responding with the appropriate amount of refrigerant. Once depressurized, the liquid can begin to evaporate. Evaporation causes an extreme decrease in the liquid’s temperature. For this to happen, the chilled liquid moves into an evaporator or heat exchanger, which evaporates the liquid and absorbs the heat. Absorption chillers are a type of chiller that drive the refrigeration cycle using a heat source. One benefit of absorption chillers is the fact that they do not use much electricity and can instead be solar powered or generated by heat-producing machinery. 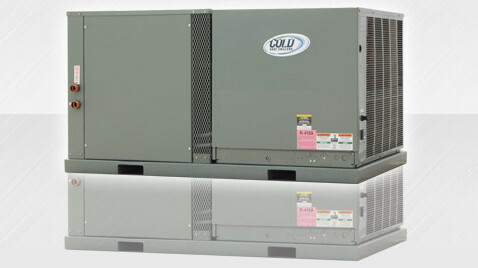 Vapor-compression chillers drive the cycle using a compressor. Vapor-compression chillers are time-tested, easily accessible, and can be installed more easily than absorption chillers. Vapor compression chillers come in different types and are classified by the type of gas compressor they use. The most common types available are centrifugal compressors, screw compressors, and scroll compressors. Centrifugal compressor chillers build pressure by adding kinetic energy to the fluid. They create this energy by directing the liquid through an impeller or rotor. They then convert the kinetic energy into increased potential energy by forcing the fluid through a diffuser. Screw compressor chillers compress refrigerant liquid using twin rotary screws. Screw chillers provide uniform, continuous-duty and high-speed liquid chilling. Scroll compressor chillers are commonly found in portable chillers, due to their compact and quiet nature. Chillers can also be distinguished from the type of condenser they use—whether the condensers are air cooled, water-cooled, or evaporation cooled. Air cooled chillers blow ambient air over the condenser and then release the hot air into the atmosphere. Because of the way this compressor releases heat, it can be used to heat a facility in colder weather. Water cooled chillers, or water chillers, utilize flowing water to extract heat from a refrigerant. Although the water chiller condensing process is the most effective, it needs a consistent water source, and often requires a pump and a cooling tower. Evaporation cooled chillers operate in a similar fashion, but they evaporate a mist of water that was pre-released into the air. Evaporating the water increases the efficiency of the transfer of heat. Other examples of liquid chillers include process chillers, recirculating chillers, and central chillers. Process chillers regulate temperatures on a non-continuous basis. They are instead used as-needed. They are popular in power plants and in food and medicine flash freezing. Recirculating chillers recirculate or recycle vaporized refrigerant by forcing it back into the first stage of the process. They are usually small and portable. Recirculating chillers are efficient, precise and continuous duty. In addition, they do not waste liquid. They are popular in medical imaging, lab work, plasma etching, military applications, plastic extrusion, plastic molding, and electronics temperature testing. Central chillers, also known as central chilled water units, are chillers used in central air conditioning units. To adjust air temperature, they feature internal chilled water coils. Liquid chillers offer their users many advantages. First, they are reliable. They provide consistent, uniform cooling, which can keep sensitive products from damage. Second, they use space efficiently. Manufacturers can make them as large or as small as you need them to be, and they can even make them portable. Third, they cool spaces more quickly than other types of chilling systems, such as ice or nitrogen machines. Finally, liquid chillers are affordable. Accessories you may to consider for your liquid chiller include protective coatings, condenser filters, remote controls, emergency alarms, spare parts, phase monitors, lights, gauges, locks, vibration dampeners, and extra refrigerant. For the best advice, talk over your application with your supplier. The standards to which your liquid chillers should adhere depend on a few things, including your location, industry, and application. Often, chilling technology is regulated by laws. This is particularly true when your chillers are meant to cool products to be consumed, such as medicine, food, and drink. If this is the case for you, your liquid chillers need to meet the standards of the FDA and/or the USDA. For more specific standards, check with your industry leaders. In addition, because you will be working with potentially harmful chemicals (refrigerants), depending on the setting, your liquid chillers may also require EPA standard approval and/or OSHA approval. In addition, we generally recommend that your liquid chillers meet the standard specifications of AHRI (Air Conditioning, Heating and Refrigeration Institute). The best way to ensure you receive a high-quality liquid chiller is by working with a reliable, high quality liquid chiller manufacturer. To assist you in this endeavor, we have put together a list of such manufacturers, which you can find on this page. All of those we have listed are experienced and vetted. While they all are excellent, they aren’t all right for you. To determine which of these manufacturers is “the one.” We recommend you start by writing down all of your specifications, requirements, questions, and concerns. Remember to include your budget, timeline, delivery preferences, installation support preferences, and post-installation support preferences.  Then, carefully peruse the products and services of the companies we have listed on this page. Frequently consult your list for comparison. 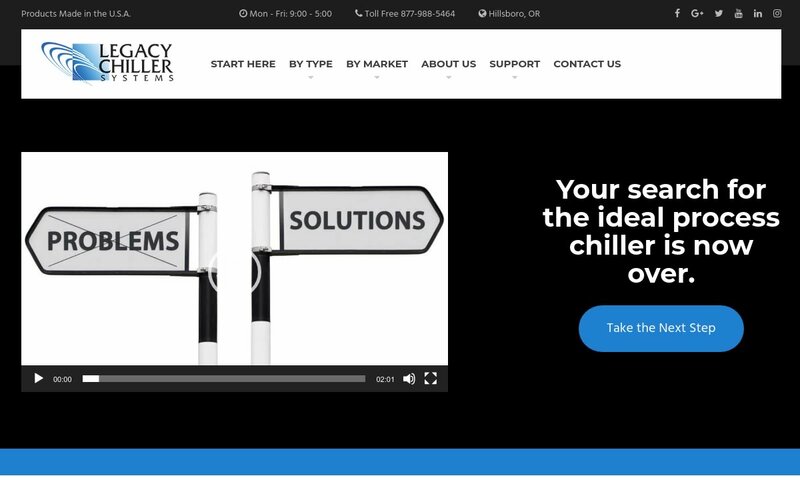 Pick out three or four liquid chiller companies you believe have the best potential for your application and reach out for a quote. We recommend you actually talk to them on the phone, so that you can get a better sense of their customer service style. After you’ve spoken with your top choices, compare and contrast their answers and select the right one for you. It’s as easy as that. Good luck!